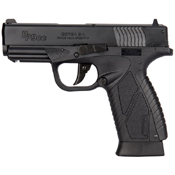 The ASG BP9CC is a semi-automatic 4.5mm airgun with blowback, fully licensed by BERSA. 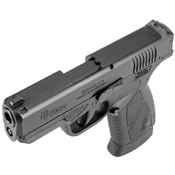 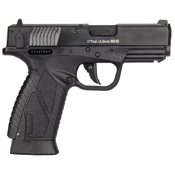 It is a lightweight, compact, ultra thin handgun, with a ergonomic design that improves line-of-sight. 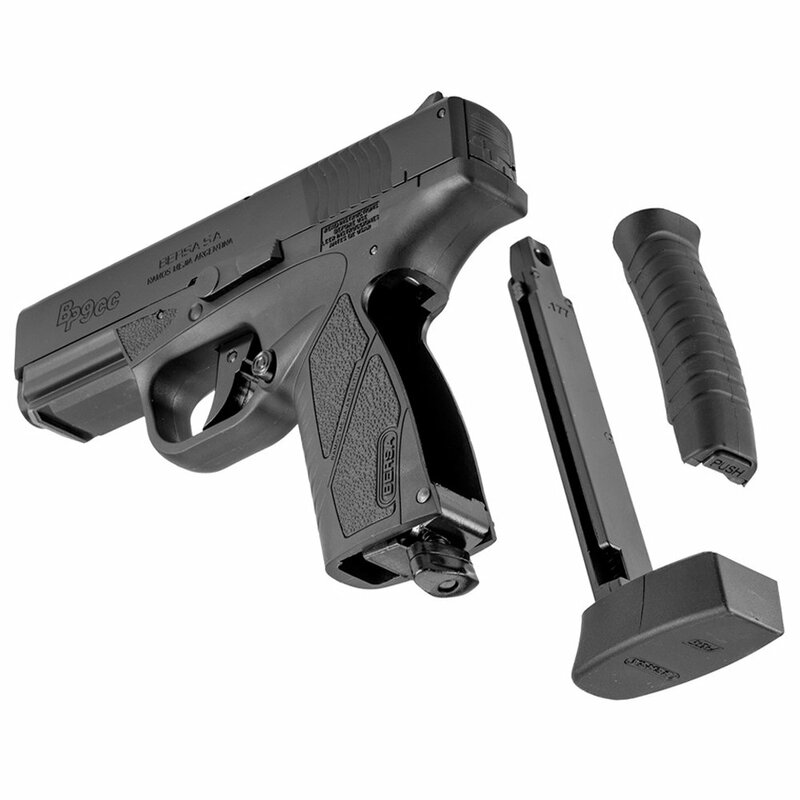 It is powered by a 12g CO2 cartridge stored in the grip, along with the easy-loading drop out stick magazine. 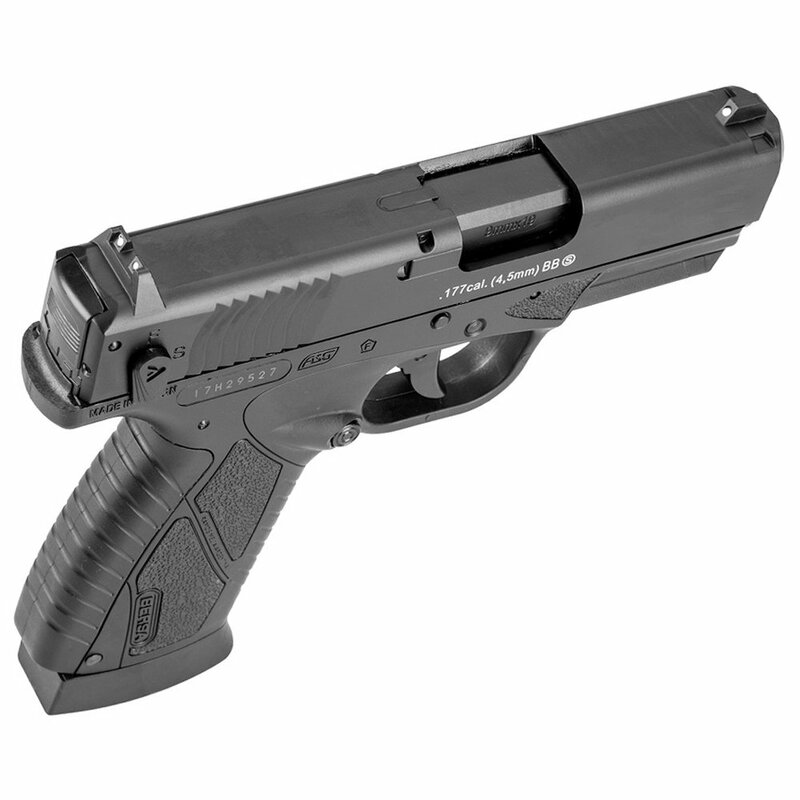 An integrated picatinny rail allows for mounting of lasers or tactical lights. The grip and metal slide caries authentic BERSA trademarks and each gun comes with a unique serial number. 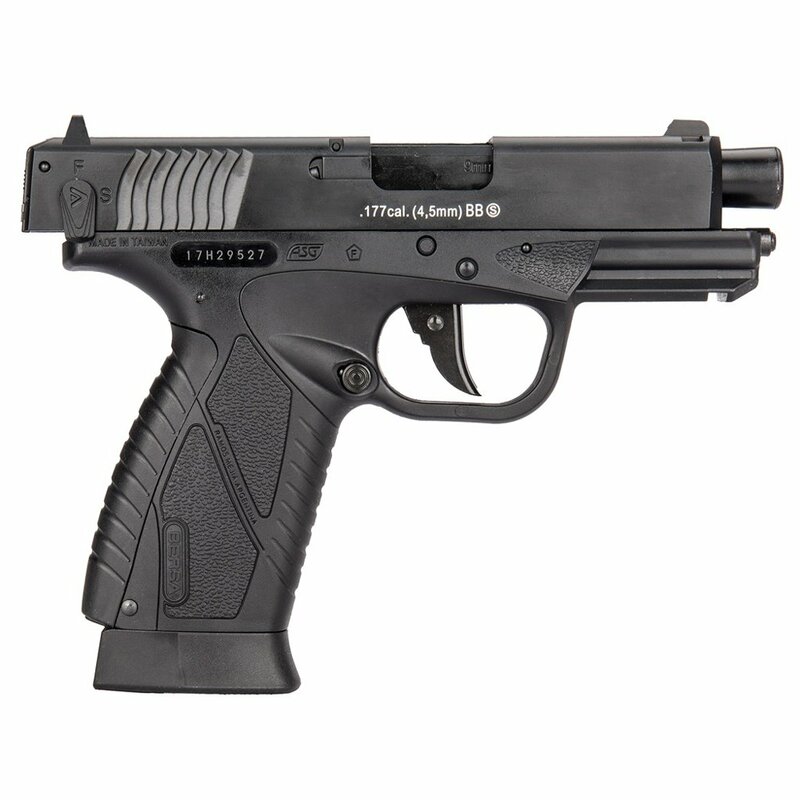 It also features a 3-dot sight system and a barrel threaded for a silencer.